Single sign-on allows you to log in via your company’s identity provider, removing the need to remember your Float credentials. It’s a safe, secure way to log into multiple apps. Float is officially supported by identity providers OneLogin and Okta, available for all plans and can be setup by any Account Owner in minutes! If you currently use the identity provider you can find Float in their App Directory. User provisioning is not supported. Before your team can authenticate via SSO, they must already have account access to Float. Once this information is saved, your team will immediately have the option to log in via your identity platform or with their traditional username and password from the Float login page. To update or remove authentication, select the Update SAML settings link. We also support hassle-free sign up and sign in using your Google account. To sign up using your Google account, select the Sign up using Google link from the sign up page, accept the terms, and add your team name and URL. 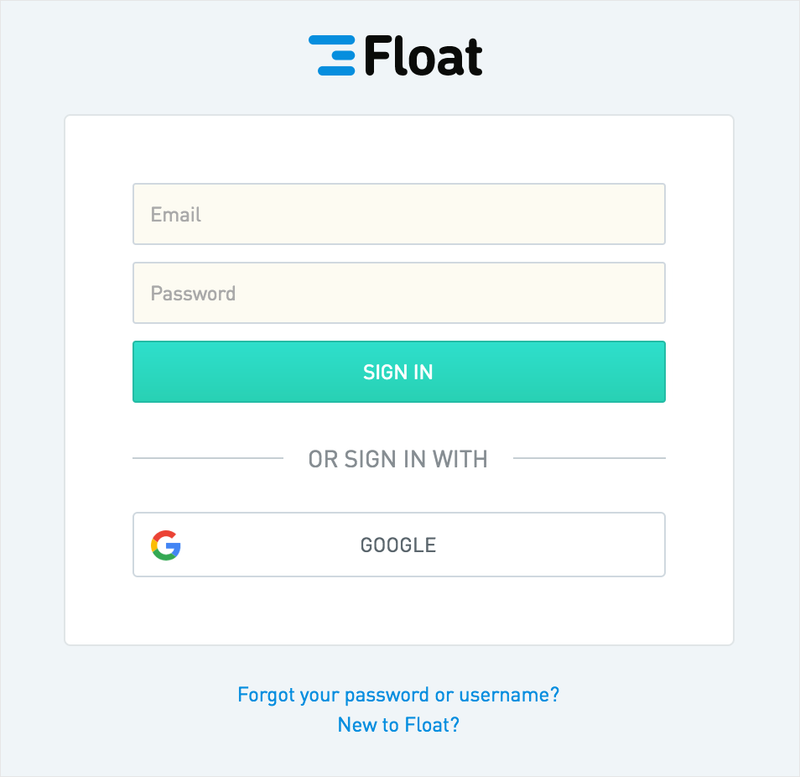 Team members you invite to Float will also have the option to sign up using their Google account, requiring no Float password. 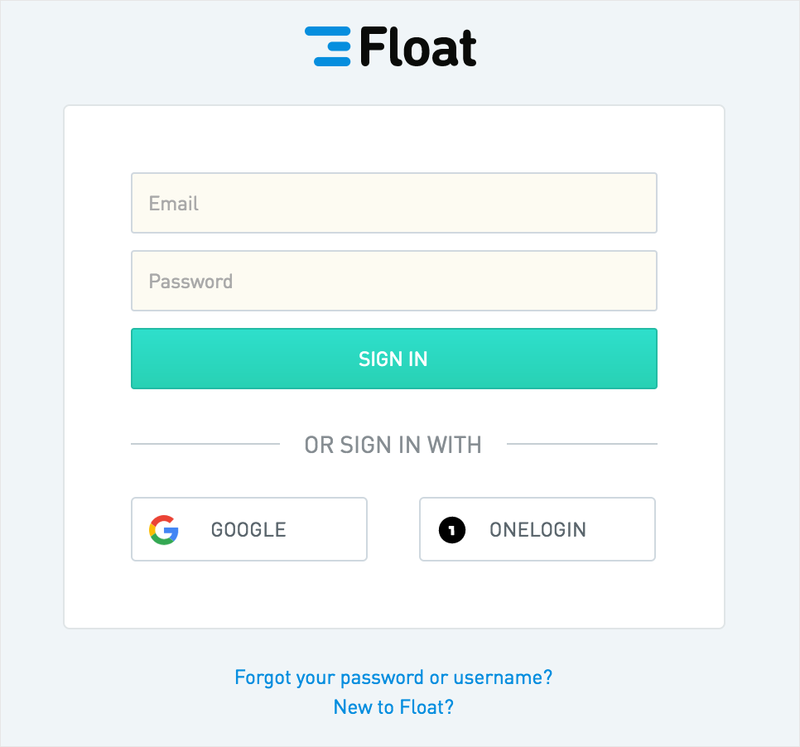 If you're an existing Float user and your username matches your Google account email, you can log in using either a Float username/password or the Google sign in button. If you've signed up using a Google account, but would prefer a Float password, simply create a password from the My Info tab by completing the password field.